We have a great chill-pool / BBQ area and an 8-mile stretch of excellent beach just 2 blocks from our Zen-peaceful location. 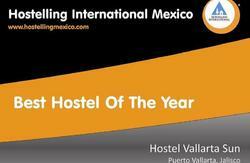 The hostel is located just 3.5 blocks from easy and cheap bus transport to Puerto Vallarta, PVR airport, Sayulita and Punta Mita. Many intercity buses from Guadalajara, Mazatlan and Puerto Vallarta stop in Bucerias, less than a mile from our door. All-night Oxxo market, pharmacy and taxi stand are very nearby. The small, safe and friendly town of Bucerias is a great place for walking, visits to outdoor markets and the growing roster of restaurants and pubs, and of course all beach/water sports. Check in: 2pm to 6pm daily. Check out: 9am to 12pm daily. No children under 18 if not accompanied by an adult (over 18). IMPORTANT Address Note: If searching for our location online, note that we are on Calle Francisco I. Madero sur (i.e. SOUTH), in the Colonia Dorada (Golden Zone) of Bucerias. There is another Francisco I. Madero street in northeastern Bucerias. If you are having trouble locating us in an online mapping service, you can usually paste our GPS coordinates directly into services such as Google Maps, exactly as follows: 20Â°44'57.76'N 105Â°19'43.28'W , and come up with our precise location. 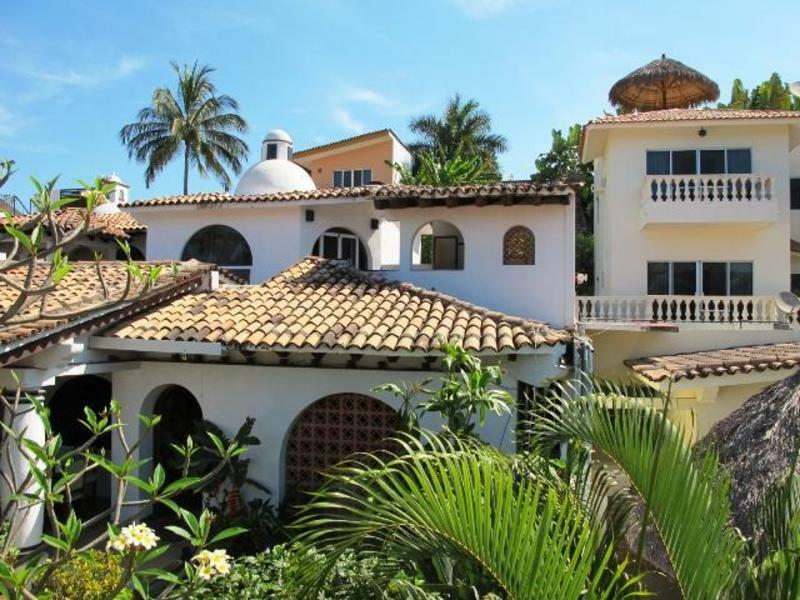 When providing directions to taxi drivers, etc., you can also mention that we are right next to the very well-known Decameron hotel, on the beach/ocean side of Highway 200 in Bucerias. LOCAL BUS: From the PVR airport or the central Puerto Vallarta bus station you can take a local bus to Bucerias for about $1US. Cross the foot bridge over the highway at the airport, or walk out to Highway 200 from the bus station, and board a bus that says Bucerias on the window. 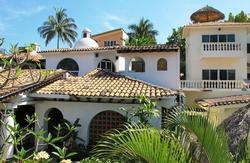 Ask to be let off at the Decameron Hotel stop in Bucerias. Once off the bus, cross the street, toward the Oxxo and keep walking toward the ocean down Avenida Las Palmas for about 3.5 blocks / 3 minutes. When you get to the 24hr taxi stand in the middle of the avenue nearing the main gate of the Decameron hotel, look to your RIGHT for a red railing and small set of steps leading down to our quiet, cul-de-sac street, called Francisco I. Madero (ask the taxi drivers to point it out to you if you like.) Come to the middle of the block and you will see our sign at #132B Francisco I. Madero. INTERCITY BUS: The main bus terminal in Bucerias is on the main highway (200), just up from the town square and main church at the stoplight in the center of town. From there, it's a little less than a mile to our door, so if you feel like walking, just ask anyone how you get to the Decameron hotel and they will point you in the right direction. The nicest walk is down to the church, then take a left onto Avenida Mexico, which turns into a footbridge crossing the river (Arroyo del Indio) a couple of blocks to the south where the street changes names and becomes Lazaro Cardenas street, the main north-south drag, one block off the ocean, in the southern / 'Zona Dorada' section of Bucerias. When you get to the main gate of the Decameron Hotel, take a left up the double-laned Avenida Las Palmas and look for the 24 hour taxi-stand. At the taxi stand, look for the red railing and the small set of steps leading down onto our cul-de-sac, Francisco I. Madero street. We are half way down the block, and you will see our signs at #132B. TAXI: Fare from the PVR airport or Central bus station is approximately $17US from by regular 'Yellow Taxi', or approximately $24US from pre-paid taxis inside the airport; drive takes about 20 minutes. Tell taxi driver to go to the Decameron hotel in Bucerias, a well-known place a block from the Pacific Adventure Hostel. DRIVING: Follow Highway 200 north if coming from PVR / Puerto Vallarta, or south if coming from Sayulita or Guadalajara, At the 'Decameron Gate' stop light located at the southern-most end of Bucerias (near the Pharmacia Guadalajara, the Oxxo and the Pie In the Sky Bakery), turn onto Avenida Las Palmas toward the ocean; continue to the end of the street, where you will find the main entrance to the Decameron hotel; turn right onto Calle Lazaro Cardenas; take your first right onto Calle Fibba; take your first right again onto Calle Francisco I. Madero (which is a cul-de-sac). 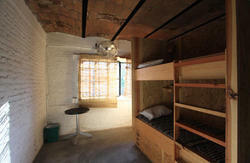 The Pacific Adventure Hostel is at #132-B Francisco I. Madero, Bucerias, Nayarit.